Includes Tyson Fury vs. Francesco Pianeta & Cristofer Rosales vs. Paddy Barnes. Includes Zolani Tete vs. Omar Narvaez, Tyrone McKenna vs. Anthony Upton, Conrad Cummings vs. Luke Keeler & David Oliver Joyce vs. Jordan Ellison. Includes Kiryl Relikh vs. Eduard Troyanovsky & Ken Shiro vs. Milan Melindo. Includes Chris Avalos vs. Mark Magsayo & Paul Flemming vs. Miguel Angel Gonzalez. Includes Nonito Donaire vs. Cesar Juarez. 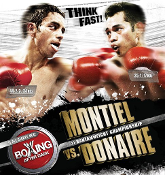 Includes Nonito Donaire vs. Anthony Settoul, Denis Shafikov vs. Roy Mulkhis & Zulipikar Maimaitiali vs. Ju Young Kwon. 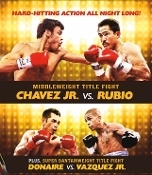 Includes Nonito Donaire vs. William Prado & Albert Pagara vs. Rodolfo Hernandez. 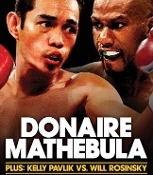 Includes Nonito Donaire vs. Simpiwe Vetyeka. 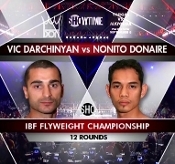 Includes Nonito Donaire vs. Vic Darchinyan II & Vanes Martirosyan vs. Demetrius Andrade. Includes Road to Donaire - Rigondeaux. Includes Brandon Rios vs Mike Alvarado I. Includes Kelly Pavlik vs Will Rosinsky. Includes Nonito Donaire vs. Hernan Marquez. Includes Fernando Montiel vs Ciso Morales, Eric Morel vs Gerry Penlosa & Bernabe Concepcion vs Mario Santiago.